‘Tis the season for schmaltzy, feel-good, holiday-themed advertising, a time in which we’ll be seeing the jolly old elf in all kinds of commercially viable situations, but none–NONE–will punch you in the gut like this one. The newest PSA from the International Red Cross manages to simultaneously dunk on all the superficial BS surrounding the holiday season, while reinforcing its actual core themes of kindness, empathy, and generosity. This is not your Coca-Cola Santa. Onward! What: A holiday PSA from the Red Cross. Why we care: Forget jingle bells and roasting chestnuts on an open fire for a few minutes, and remember the importance and impact of empathy and a sense of responsibility to our fellow humans. What: A fantastic, embarrassing, brilliant, on-brand stunt from Payless Shoes. Why we care: The social experiment marketing trick is as old as time itself (or at least, 2007). Presenting something cheap as something luxurious to illustrate that there’s no need to spend so much money on such things. It’s become a reliable trope that boasts multiple SNL spoofs (Oh that sweet, sweet BK Joe). This time it’s shoes, and Payless set up a fake luxury shoe store in L.A. called… wait for it… Palessi. So far the joke has racked up reams of earned media across CNN, USA Today, and more. 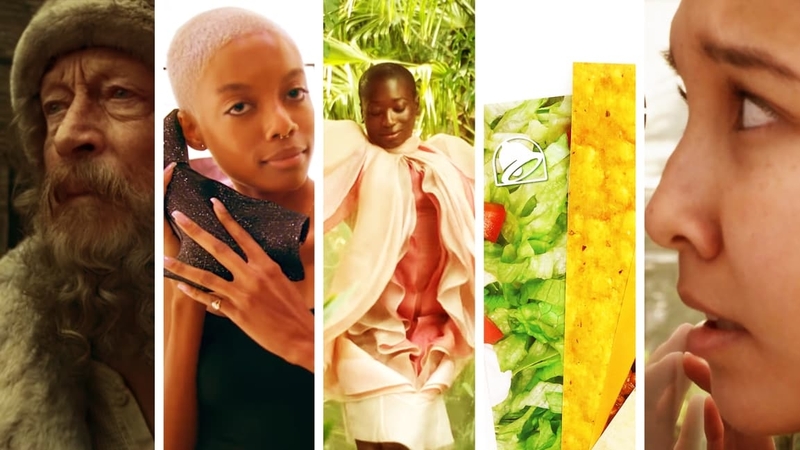 What: A Swedish feminine hygiene brand’s bold, unapologetic ode to vaginas everywhere. What: Three square feet of paper that costs Can$4 and looks like seasoned beef, nacho cheese sauce, crunchy tostada, tortilla, with lettuce, tomato, and sour cream. 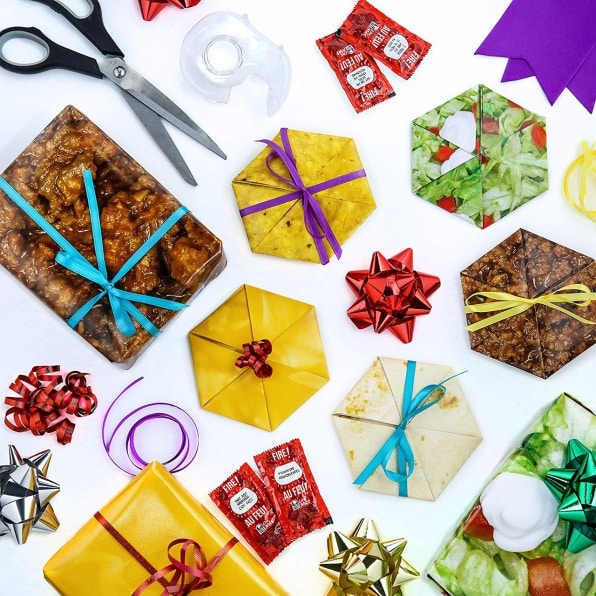 Why we care: Seriously, who wouldn’t want to see a multi-layered, burrito-like mass of gifts under the tree? What: An interactive transit ad that puts gives you the POV of a person experiencing domestic violence. Why we care: Powerful content in unexpected places. This is where advertising often makes the biggest impact, and here it’s for an important cause. It was fun when the Milk Board made bus stops in San Francisco smell like freshly baked cookies years ago, but this takes creative execution on an under-utilized platform (bus stops) to a new level.